EirMed’s cleanrooms follow ISO and FDA guidelines for medical device manufacturing. Our Class 7 and Class 8 cleanrooms house injection molding, manufacturing, assembly and packaging processes for the medical devices we create. Maintaining a strict level of cleanliness during our production is part of our equation for yielding extraordinary quality. Class 7 cleanrooms are used for our assembly and device packaging processes. These cleanrooms have fewer than 10,000 particles in the air which is critical for the late stages of product development. 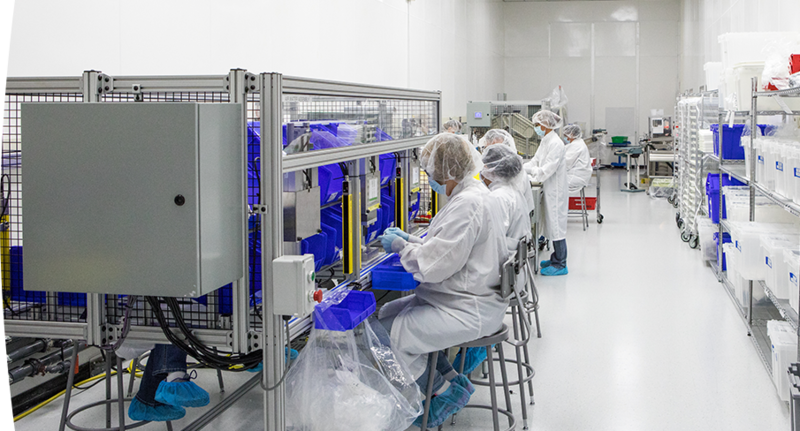 Utilizing a Class 7 cleanroom for assembly and packaging ensures a clean, sanitized device upon delivery to a medical facility. At EirMed, we have two Class 7 cleanrooms, one is 5,000 square feet and the other is 1,200 square feet. 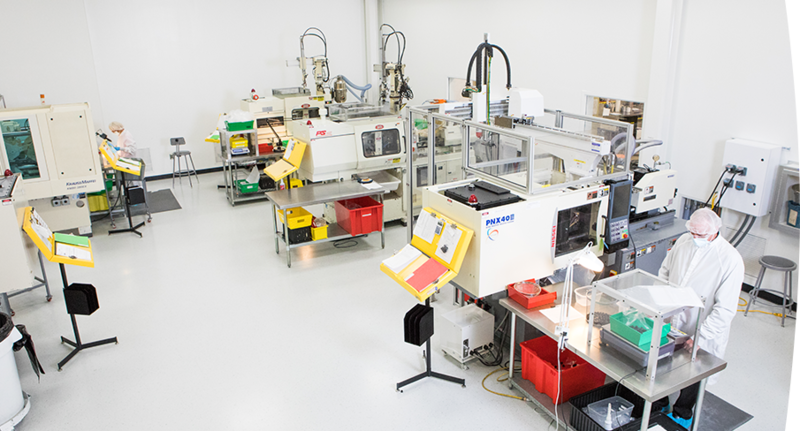 Class 8 cleanrooms are used for our injection molding and manufacturing processes. The standard for these cleanrooms is to have fewer than 100,000 particles in the air. Our Class 8 cleanroom is 3,200 square feet. Come for a visit and we will show you our world-class facilities. Get a first-hand look at all that goes into producing your medical devices.